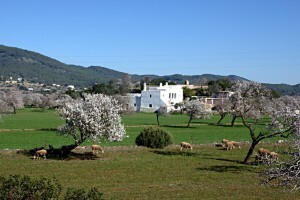 The island’s mecca for holiday-makers, the municipality of Sant Antoni de Portmany (also known as San Antonio) is situated on the west coast of Ibiza. The visitors’ arrival every summer has transformed the way of life of region that for a hundred years was fully focused on farming, fishing, and old traditions. Today, San Antonio is among the main resort centres and has an extensive choice of services for both visitors and second-home buyers. A large number of bars, clubs and restaurants have sprung up along the greater part of San Antoni’s coastline. It also hosts a large completely renovated port, which is busy with ferries and features leisure and commercial nautical activities. In the past few years, the port of San Antonio became one of the most important harbours of the Balearic Islands archipelago. Sant Antoni de Portmany property market offers the most luxurious villas and country estates. The average price for a house is around Average price per sqm. in Sant Antoni de Portmany (Municipality) €4,153 0% properties#: 134 last change on: 23 Apr 2019 €4,153 per square meter while the current average price of an apartment is Average price per sqm. in Sant Antoni de Portmany (Municipality) €3,401 0% properties#: 84 last change on: 23 Apr 2019 €3,401 per square meter. Investment opportunities have a current average of Average price per sqm. in Sant Antoni de Portmany (Municipality) €5,483 0% properties#: 30 last change on: 23 Apr 2019 €5,483 per square meter. Sea views add an extra premium value onto properties. The most renowned real estate agencies in Sant Antoni are Luxury Villas Ibiza, Ibiza Property Shop and Everything Ibiza with more than 25 listings on the market. Why Sant Antoni de Portmany property? For beachgoers, there are a number of high-quality fabulous beautiful beaches and quieter calas, if you wish to be away from the crowds. Among this variety, the most notable include Playa Es Pouet, Calo des Moro, Cala Salada, Cala Gració, Cala Gracioneta, Cala Llosar and Punta Galera, formed of rocky platforms. Hikers can walk from San Antonio different trails going through agricultural fields, pine woodlands, beaches and coves, to see a variety of landscapes that combine nature and beauty. Sports fans will find here plenty of cycling routes, and the velodrome, the only one on the island. 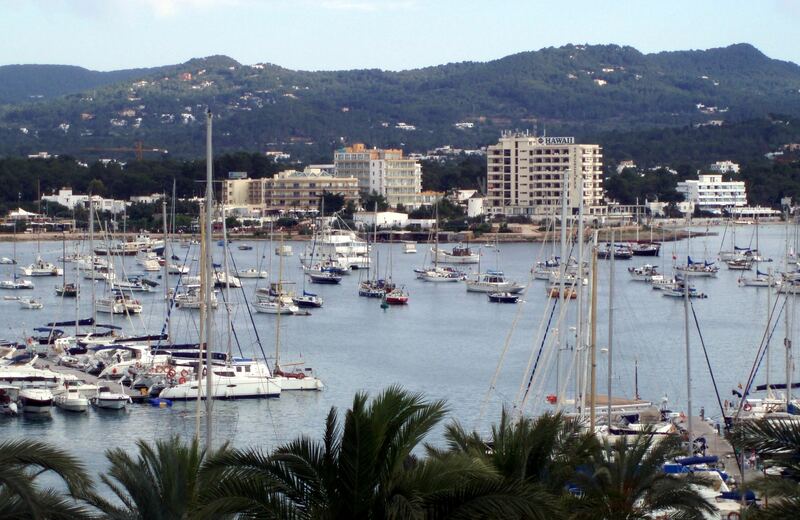 On the west coast of Ibiza, you find the Bay of San Antonio situated next to the urban centre. This impressive seacoast with the authentic fish restaurants and magical sunsets represent a perfect place for those second home property seekers. There are a number of nice properties in this popular area including luxurious villas and penthouses. Notably, it is more calm and family-oriented area than the San Antonio’ centre, located in 20 min. walking distance. The Bay area is also filled with shops and variety of services such as ferries connecting the other parts of the island, nautical club, yachting marina and fishing dock. 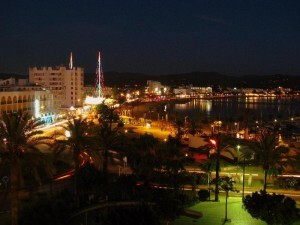 The municipality’s centre, the lively and colourful town of San Antonio is Ibiza’s party capital. It is favoured by European visitors because of the striking beauty of the bay and spectacular sunsets, which have made the local bars and clubs famous around the world. It is attracting flocks of partygoers mostly between June and September. At quieter times of the year, it is perfect for families, with numerous sandy beaches and water sports all readily accessible by ferry right around the bay. Es Paradis and Eden are the most famous big nightclubs in San Antonio, along with plenty clubbing related bars & lounges such as Cafe de Mar, Cafe Mambo, Bar M, 2Nice Bar, Savannah Beach Club as well as live rock venue Ibiza Rocks. If you intend to do some sightseeing, the towns and villages in the municipality of Sant Antoni offer some interesting sites. The village of Santa Agnes de Corona (also known as Santa Inés de Corona) is notable for its church together with the almond tree landscape. Sant Mateu d’Aubarca (or San Mateo) is known for the wine production and its old wine cellars. Ses Torres d’en Lluc is an archaeological site dating back to the middle ages, featuring the two medieval towers and a wall. In the east, you find the steep coastline of great beauty of Cala d’Albarca, which provides a shelter for several kinds of birds, including an impressive population the Royal falcon and Eleonor’s falcon. And, in the town of Sant Rafael de Sa Creu (or San Rafael), which is known as the craftwork zone, you find a nice pottery studio. Outside the San Antonio’s urban part, the cave of Ses Fontanelles houses a collection of cave paintings dating back to the Bronze Age.